VATICAN CITY (CNS) — Colombia’s long and arduous path toward reconciliation and a lasting peace after nearly half a century of war is a sign of hope for all Christians, Pope Francis said. “With my visit, I wanted to bless the efforts of that people, confirm them in faith and hope and receive their witness, which is a wealth for my ministry and for the whole church,” the pope said. Although still sporting a black eye after a minor accident during his stay in Cartagena, the pope was in good spirits, greeting pilgrims and kissing babies around St. Peter’s Square. “It is evident that the evil one wanted to divide the people to destroy God’s work, but it is equally evident that the love of Christ, his infinite mercy is stronger than sin and death,” he said. Departing from his prepared remarks, Pope Francis recalled how mothers and fathers lining up along the popemobile’s route would hold up their children to receive a blessing. 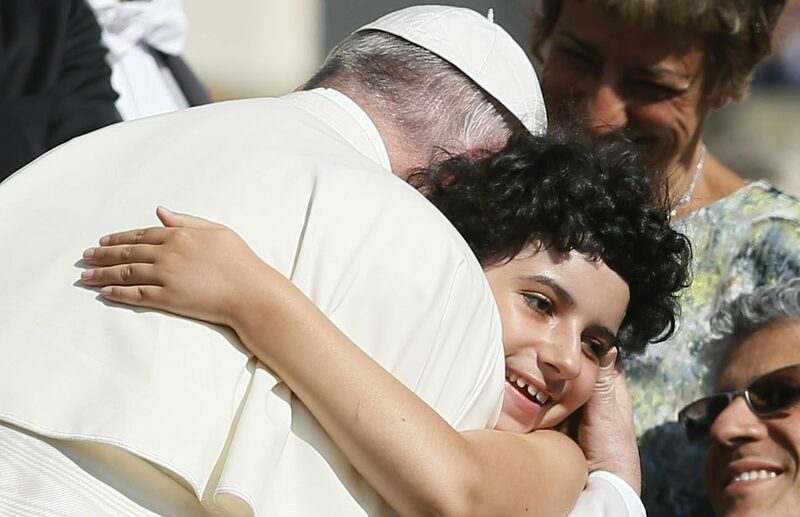 “I thought to myself that a people capable of making children and capable of letting them be seen with pride and hope, this people has a future,” the pope said. The second day of the trip, which included the beatification of two Colombian martyrs and an evening prayer service in Villavicencio dedicated to reconciliation, was “the culminating moment of the entire visit,” the pope said. “These prophetic words — full of grace — we saw incarnate in the stories of witnesses who spoke in the name of many and of many who, through their wounds, with the grace of Christ were able to come out of themselves and opened themselves to the encounter, to forgiveness and reconciliation,” the pope said.